Sheridan is using Smore newsletters to spread the word online. AMOS Visit: Representatives of AMOS from Nicaragua will be in town and will meet with Jeff and Sheridan on Wed 10/10. This will include a trek down to the Federal Way to talk to a Rotary Club to make a pitch for funding for their HTN program we are consulting on. Master's Thesis: Sheridan will be using some of the data from the SJ-AMOS collaboration to complete his MPH thesis. Diabetes group in Punta Ocote: The first meeting took place on September 29! Baseline survey collection is completed! We need to start entering data. Medications will begin being provided by the end of October. HTN group expansion in Punta Ocote and Trinidad: Trinidad has a group that has already met once and Cristina has stated that she has identified a community member who is hypertensive that could serve as a volunteer Chronic Cardiovascular Disease (CCVD - a good acronym to know) Promotora that we could possibly pay a stipend to - therefore enabling us to expand our work without making a large investment. HTN group in LG: Has been restarted and has 35+ members! Personaria Judirica: Nothing new to report. Vision Project: Jeff, Marion, and Sheridan talked to Dan Twelker, optometrist from University of Arizona, about future of the vision program in Honduras. Due to safety constraints it seems that relocating the program would be a good idea. Dan is a great guy and is on-board with disseminating to an organization like Atencion Primaria de Salud in Managua (http://www.apsnicaragua.org/). Thinking Qualitatively: We are thinking about thinking qualitatively - meaning that we do some more collection of opinions, attitudes, and interviews with people we work with in Honduras to see what we can show for ourselves as an organization, and what we can improve. 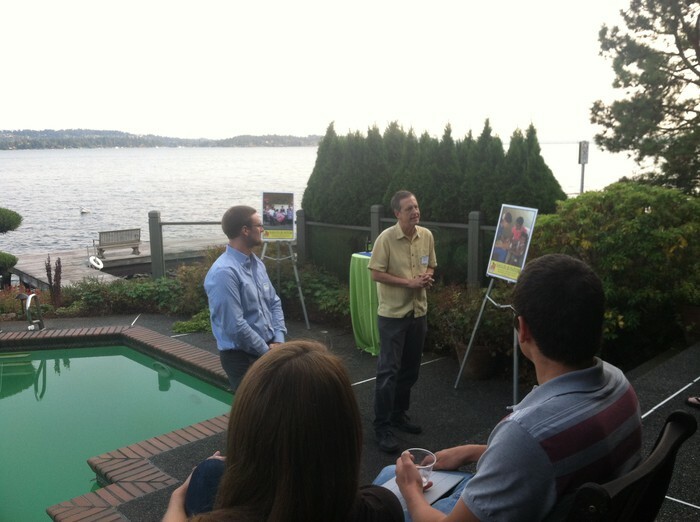 Seattle Fundraiser: Had a successful and easy event with over 30 guests. 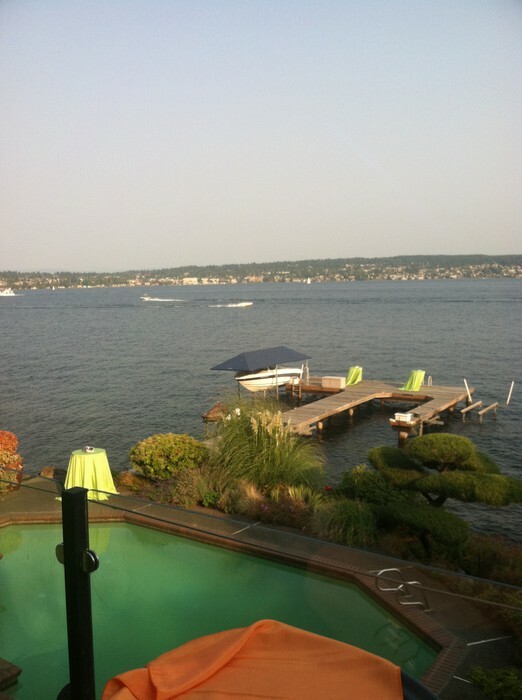 Thanks to everyone involved (Linsey, Sarah, Pat, Vince, Jenn) and to the hosts (Jeff and Judy). Fundraising Committee: It finally happened. There was a meeting between Linsey, Katrina, Tom, and Sheridan which was all about drinking wine, eating food, and figuring out how to fundraise for SJ. The outline of a fundraising strategy was formed - with 2 major groups of donors to focus on: older people who can cut big checks, and younger people that want some fun in exchange for their dinero. Katrina will work on organizing an online holiday auction. Linsey will look into having a young persons event around Valentines Day and another around Spring Break. 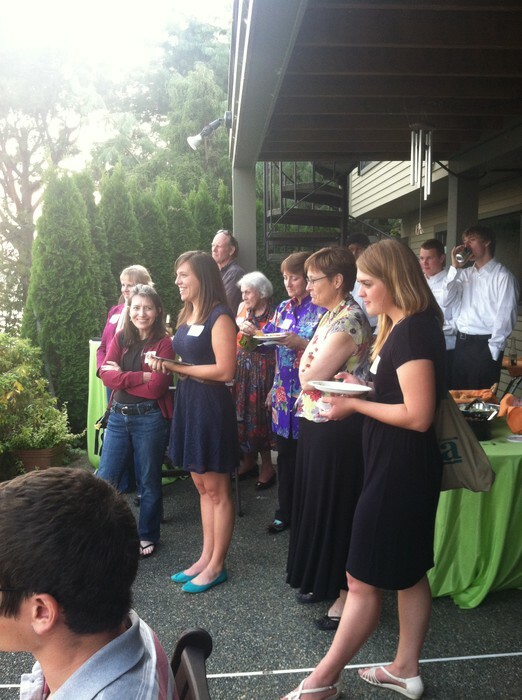 Sheridan will make sure to improve quarterly communications with donors and continue to grow the contact list. Donation of toothbrushes/paste: Still waiting on Colgate to let us know if they can send directly to Honduras, and what the value of the in-kind donation will be. Website: Very close to being done. Sheridan needs to spend around 10-20 more hours updating content and working with Alex Knapp (website guy) to update into final form. Also, Nate Rankin has been very helpful in developing the Spanish-Language content for the site. New board members: A reminder to fill out the board needs assessment sent out by Katrina. We will focus on this during the fundraiser. Quarterly Dinners: First one of these is coming up at MKO's house on Nov 7. The idea is that this will enable us to follow up with donors who didn't attend the fundraiser, expand and reinforce important relationships, and to eat good food. Jeff will be hosting in the winter. Tom will be hosting in the Spring. 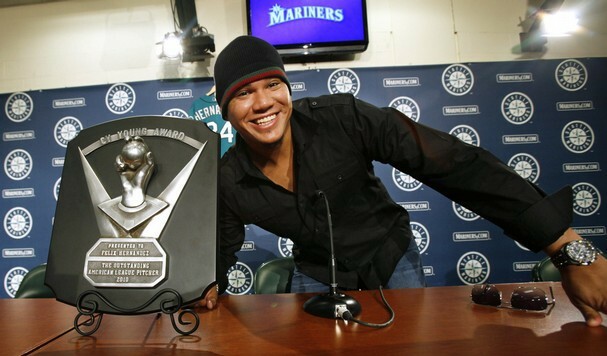 Felix Hernandez is an award winning pitcher. A winner of very important pitching awards. He is better at throwing a baseball than any of us will every be at anything - at times perfect. However, Felix is far less good at batting as he is at pitching. Still, he batted .333 this season. .333 is the minimal proportion of donation value we are trying to get from off of the board. If we can do this, we will not win an award - however, it will keep the IRS from re-defining who we are. Do we want to be told who we are by the IRS???? Didn't think so. Let's put our fundraising pants on and make some real excellent donor pitches. I hope this absurd illustration sticks with you. 1/3 RULE - THE FINAL INTERPRETATION: We need a minimum of 1/3 of our income (monetary or monetary value of in-kind) to come from off the board. It is totally fine if we get 2/3 of our money from on the board. HOWEVER, THIS IS NOT AN OPEN INVITE TO DONATE YET! We still need to raise roughly $5000-7000 from off of the board before March for everyone to donate at the same level that they donated at last year. We will have better numbers at the board meeting. STILL! No update on how much we have left in our account (s). This represents that we need to finally complete the transition from Bank of America to Welles Fargo. We need a stronger/existent finance committee going forward. This is getting clearer to me by the day. Any volunteers? This is something to think about as we discuss board recruitment. Marina and Sheridan will have a profit and loss statement in time for the quarterly board meeting. The new financial reporting tools developed by new volunteer James Cartales will be implemented this month through Corina. Ben Ranz will head up the training of Corina on these simple forms so that we can have a clearer idea of where our money goes in Honduras so we can better budget and plan our programming.